The final days of Barack Obama’s Presidency were incredibly busy. The outgoing administration seemed to want to make sure a lot of things were in place before the Trump administration came into power. The massive deployment of equipment and personnel to eastern European countries is a perfect example of that. Not since the Cold War has a deployment of this magnitude taken place. In this video, Army Staff Sgt. Adrian Patoka, the 21st Theatre Sustainment Command (21st TSC) unloads more than 2,800 pieces of 3rd Brigade, 4th Infantry Division’s equipment. 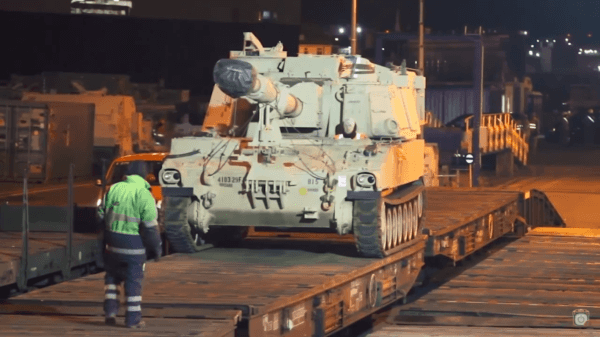 Once unloaded, the equipment then makes its way to Poland. The video starts off showing the cargo ship docked at the port in Bremerhaven, Germany. The ship contains a bunch of military equipment including tanks and personnel carriers. 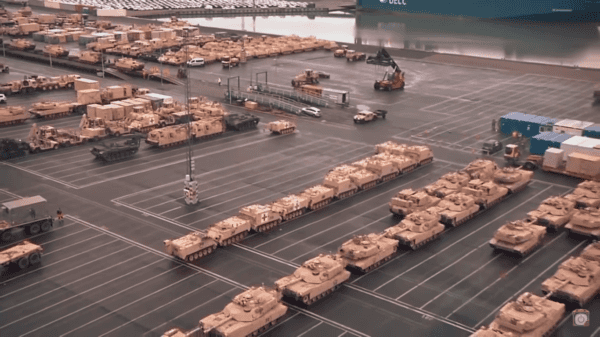 Next, the video shows a clip of a cluster of tanks parked at the unloading area at the port. Army Staff Sgt. Adrian Patoka then mentions that the equipment will be distributed across Europe, so it can be used for various military exercises and other missions that may come about. 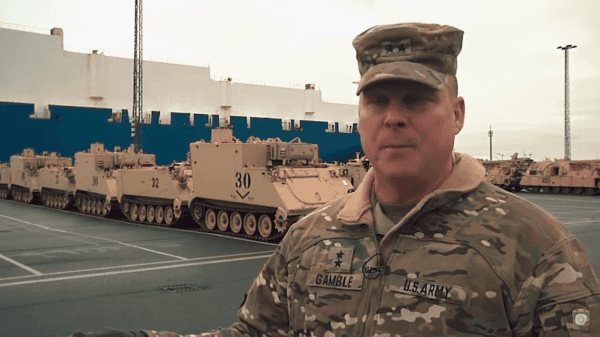 Interestingly, it only takes fourteen days for the equipment to be dispersed throughout Europe and for that equipment to be ready to fight if necessary. That’s a short period of time and it’s only possible due to the advanced logistical network that the United States has designed throughout the continent. No other country or military can spread equipment and supplies across Europe at the speed of the United States. This is partially due to Europe’s expansive network of railways, which was taken advantage of for this deployment of equipment. Thirty-seven rail cars were filled with equipment that headed to Poland, where they were then dispersed to seven different locations. The purpose of sending out all this equipment is to promote peace through strength. Essentially, the goal is to build up the military infrastructure of U.S. allies so that potential enemies are not tempted to cause problems. This has worked extraordinarily well since World War II, which is why the United States has decided to continue with this strategy. While the Cold War has arguably been over for several decades, it’s always a good idea to be prepared. The whole event of distributing this equipment is a monumental mission without a doubt.